Knowledge management (KM) in the context of contact center customer service refers not only to content management and findability of answers in that content or knowledge base, all in the context of a customer query, but also many other things. Conversational guidance and process knowhow to resolve a customer problem or give value-added advice to a customer, compliant with best practices and industry regulations. eGain uses proven Artificial Intelligence (AI) reasoning technology to guide customers and agents. Analyzing and optimizing the scope and effectiveness of the knowledge base and the paths to answers and problem resolution. Customers go to websites or reach out to contact centers to get answers and get their problems resolved or goals accomplished. You need knowledge to deliver those answers. While there are some subject matter experts who may know it all, your self-service systems and most contact center agents need contextual knowledge, and conversational and process guidance at the points of interactions with customers. Moreover, millennial and Gen Z agents would rather just “look up” the knowledge base or get guided to answers rather than try to remember everything. They hate to sit in training sessions, preferring to get on-the-job guidance just like GPS guidance for driving. 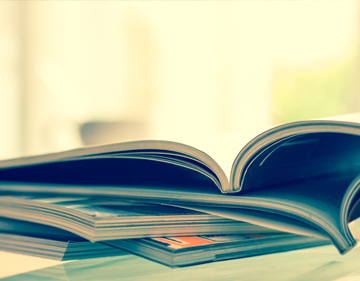 A best-in-class knowledge management system can do just that. Also infused with AI and analytic insight, eGain’s knowledge management capability for contact center customer service and engagement is second to none. A pioneer in this domain, eGain brings technology and two decades of experience in the trenches to bring proven best practices for success. Another telco reduced unwarranted “No Fault Found” handset returns and exchanges by 38% with knowledge and AI-guided problem resolution in the contact center and on the website. A water utilities client saved ~$5M per year by reducing unnecessary engineer callouts, while improving FCR by 30%! A global banking client soared to #1 in customer service NPS and reduced training time by 50%, even as it expanded to 11 countries with mostly novice agents in its workforce. This global bank had a simple strategy for success: To become the #1 bank in customer satisfaction surveys in 18 months, even as it completed its expansion across 11 countries within a year. Want to transform customer service? 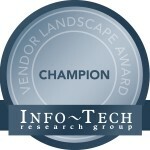 eGain is a Champion in Info-Tech Research Group’s Customer Service Knowledge Management (CSKM) Vendor Landscape. eGain also receives the highest Value Score of 100.